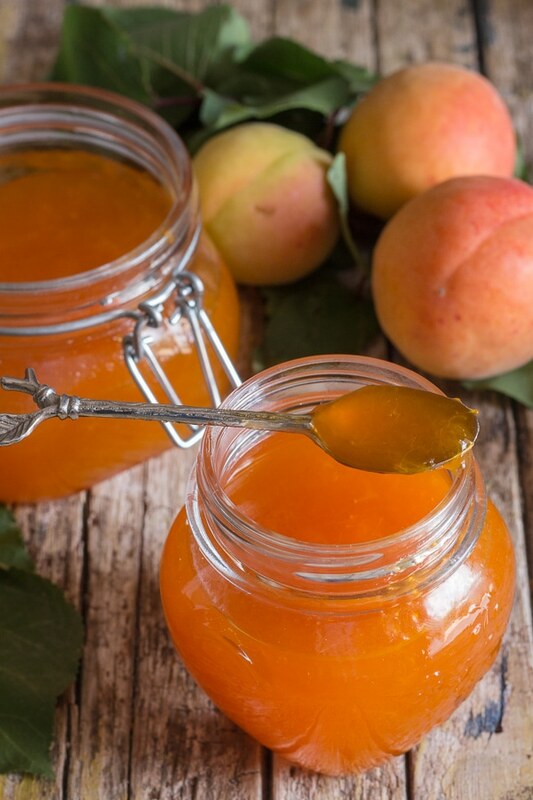 All you need are fresh apricots, lemon juice and sugar to make a delicious Homemade Apricot Jam. And No Pectin needed. 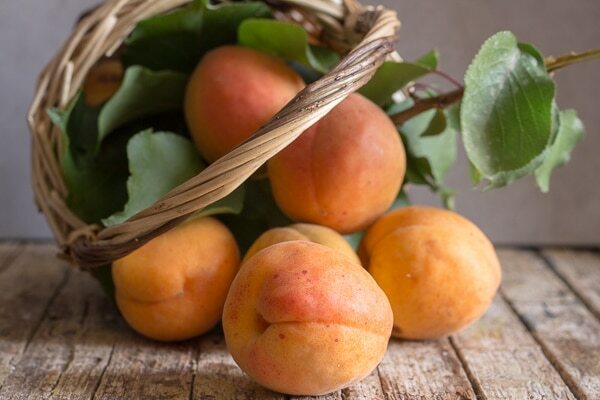 If there is one thing that the Italian is good at growing, it’s Apricots. Our tree every year is absolutely full. There are enough apricots for everybody, birds included. And this year they were perfect, not a blemish and huge. Too bad our Lemons weren’t half as good, who am I kidding, if the darn tree would just grow we would be off to a good start. I actually decided to make this as a freezer jam. The Jam will fill about a couple of jars (around 2 1/4 cups). So with one jar I used almost all of it to make a dessert, the rest of the jar was so good on my homemade tea biscuits and the remaining jar I froze. And besides with freezer jam, there is no need to sterilize any jars! Which is always a good thing. 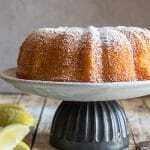 The acidity in Lemon Juice works with the sugar to jell the natural pectin in the fruit. And an added bonus it helps prevent the growth of bacteria. 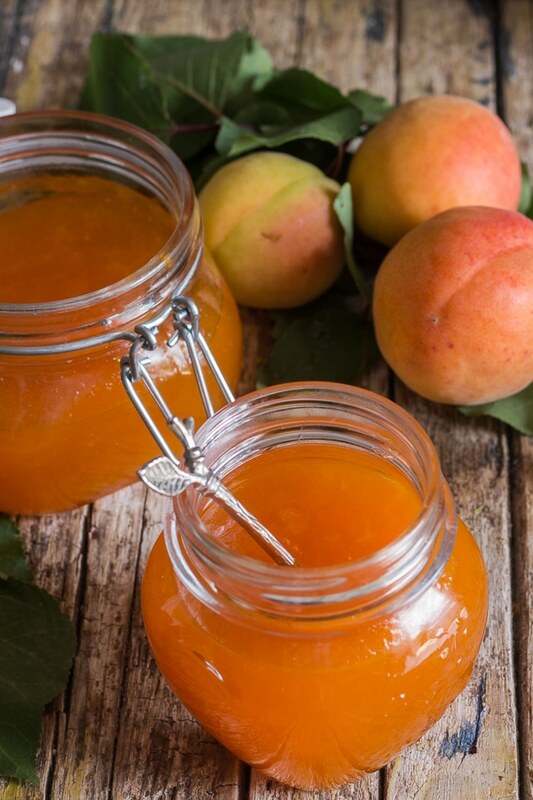 Although apricots are low in pectin and the jam does not come out as thick as it did with my No Pectin Strawberry Jam I still decided I wanted it to be as natural as possible and that meant no added pectin. Not only is homemade Jam easy it is also delicious and there are so many things you can do with a jar of Jam. Spread it on some toast, muffin or homemade scone or tea biscuit. 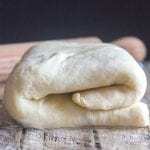 One of my favourites, bake some brie! Spread some jam on top and bake. Then all you have to do is grab some crackers and dig in. Top a creamy dessert or ice cream with a spoonful or two. Having pancakes for breakfast? 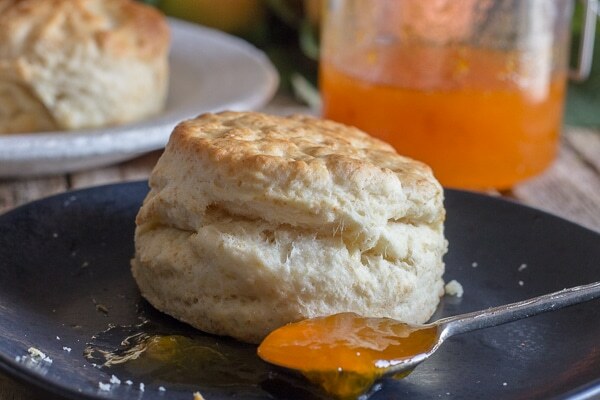 Top them with some Apricot Jam instead of syrup! 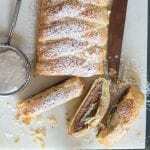 Make some crepes and spread them with some jam and roll them up. 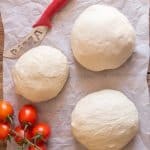 More Delicious No Pectin Jams you may enjoy! 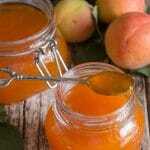 What ever you decide to do with your Homemade Apricot Jam I do hope you enjoy it! 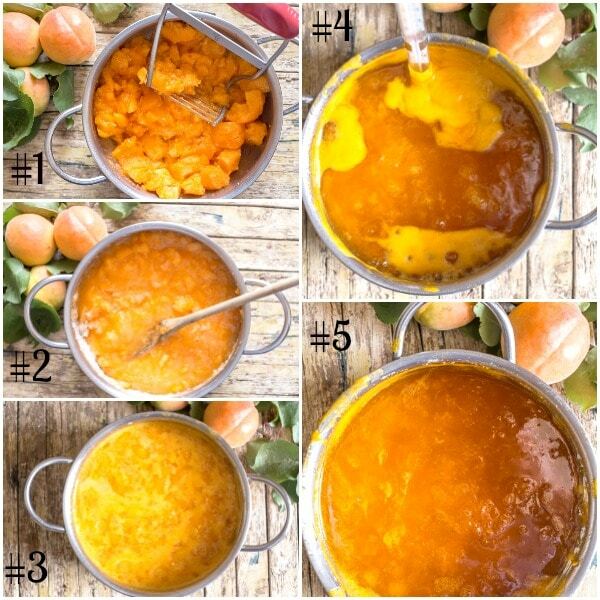 Peel and pit the apricots, then slice them, place in a medium sized pot and mash with a potato masher. Then add the sugar and lemon juice. Place the pot on medium low heat, place candy thermometer in the pot and continue to cook until temperature reaches 220 F (104C) (should take about 20-25 minutes). Remove the jam from the heat and spoon off the foam that appears on the top. 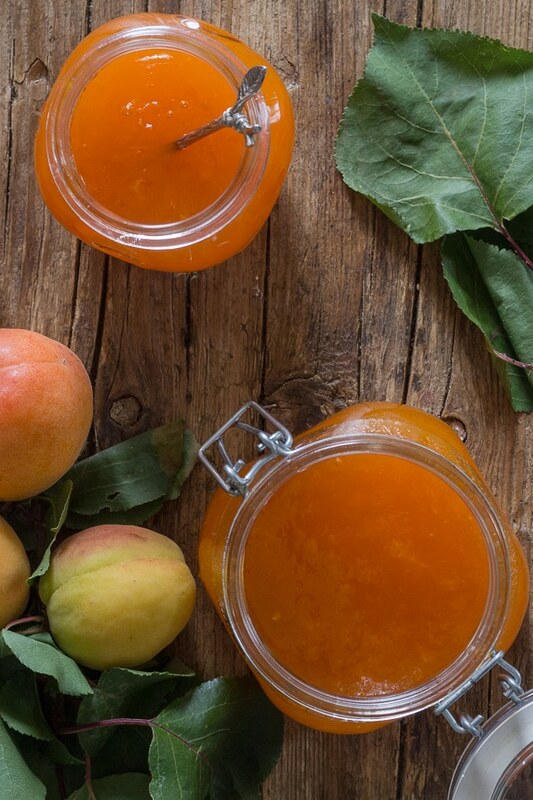 Pour jam** into clean jars, (no need to be sterilized if you are freezing the jam), leaving 1/2" (1 centimeter) of space on the top, then close with a tight fitting lid. Let the jam sit 12-24 hours before freezing. Once the jars are open they can be refrigerated 3-4 days. **The jam is going to be liquidy when you pour it into the jars but it will thicken when it sets. Hi Gabrielle, your welcome! And I love your jam recipe. Have a great week. Oh yes; this is what I make for Sacher torte. Love your version ! Thank you so much and enjoy the day ! Thanks so much, I hope you enjoy it. And enjoy your day too!